I used randompicker.com to have a winner selected! This first GIVEAWAY ended on Wednesday, April 19, 2017 by 12:00 Noon EST. To see the results click on this link: Congratulations to our first winner: Linda Lee! I did another drawing immediately after using the same website and our second winner is Samara Epstein Cohen. Click here for winner information! Linda Lee and Samara Epstein Cohen please contact via email, Instagram, Twitter or Facebook to let me know you are still interested in your **FREE** gift by Tuesday, April 25, 2017 at 2:00 PM, EST or another drawing will be held. Thanks! This entry was posted in health and fitness on April 21, 2017 by healthismygame. 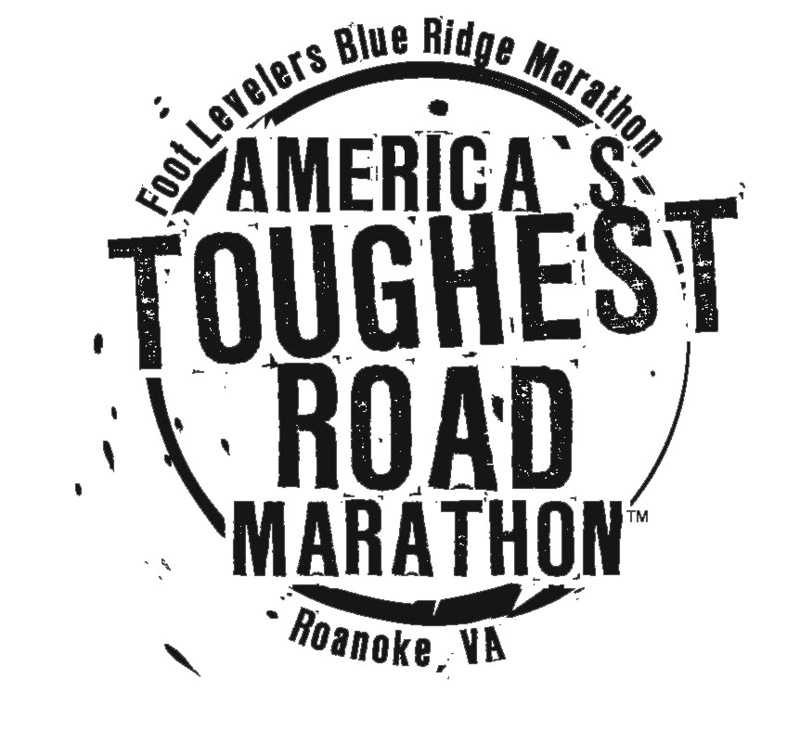 It is so hard to believe that the famous Foot Levelers Blue Ridge Marathon series, which ranks in the top 10 toughest events worldwide, is only a week from today! Soon we will see if all the hard work and discipline you and I have been putting into training for this race pays off. Well, let me tell you – regardless of how you feel this race goes for you in the end – all the training – the time, the commitment, and the determination WILL pay off! How do I know? I know this because I had the honor of completing this half marathon course last year and I will be honest – it was TOUGH, but it was worth every single second. As you approach this race do so with positive energy and with the knowledge that you are making history. As you embark on this course remember just like any other race there will be times during this race that you may NOT be able to give 100% because those mountains are no joke and that is “OK”. Remember you have done the training and you are prepared to know instinctively when your body is telling you to “ease up” a bit and when your body is telling you to “kick it into high gear”. To me, that is the main purpose of training for a major event like this. When we train we learn how our bodies react to certain changes, we learn when our heart or foot does not feel right and we may need to slow it down some, we learn what fuel works for our body and which ones do not, we learn which socks work and which ones don’t and so on. The list is endless. The biggest point though – is you learn “you” and your body. You will know when to push and when to pull back and I encourage you to make sure you do what your body needs. Always, always listen to your body and follow through with what it needs. So as we get closer to the start line on Saturday, 4/22/2017 I want to also encourage you to take it all in – the sights are quite amazing, the event is unbelievable – everything from the scenery, the volunteers, the spectators (throughout the course). You will come across some lonely signs from time-to-time that have been placed right there just for YOU to encourage you and to motivate you. As the old running rule goes, you know your body and your limits, but I caution you – to twice about indulging in the champagne and other goodies during the run unless you trained for it. (If you are prepared for those goodies and are up to it than by all means have at it – unfortunately I’ve never incorporated those treats within my run so I will not be able to enjoy digesting those amazing delicacies, but I will definitely stop and take pictures because the spectators on this course are amazing and deserve a moment in the spotlight). Start getting your running list together now and increase your water intake today, too. I actually have a running bag that is always pretty much packed with the usual’s – Band-Aids, Aquaphor, aspirin, icy hot, and etc., but I also have a “running” packing list on my phone – so that I don’t forget the absolute necessities, such as: shoes, sports bra, cellphone, chargers, sunglasses, race fuel, earphones, epipens, socks, and etc. It may seem silly, but life gets busy and I don’t want to miss a thing. So – if you don’t have a list together now, start jotting it down. The run list on my phone is helpful because every time I need it I just uncheck everything and check them off as I pack. Lastly, race day morning … If you’ve never ran a race this may be helpful – if you have it probably won’t be as much. Most of the times you need to be at the start line early, but the race may not start right away. So here are some tips to help you be comfortable during the wait. Give yourself plenty of time to get ready that morning & don’t be afraid to use the porta-john. Always better to be safe than sorry. Remember nothing new that morning. If freebies or other runner gifts are offered to you – take them and save for later. Make sure you bought your own race fuel. Nothing worse than planning to pick it up at the Expo or local running store and not finding it. Don’t forget Vaseline or some type of lube before the race. Pick up an old, oversized sweats or a robe at a thrift store or off a sales rack – so you can stay warm before the race and discard easily. (Oftentimes some localities collect the discarded clothes and donate to homeless shelters). A trash bag or poncho will work to keep you warm and dry, as well. Smile when you see the camera. 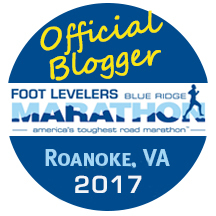 This will likely be my last “official” blog post before the race, but I would love to give away another piece of Foot Levelers Blue Ridge swag so for anyone that likes, comments, or shares this post between now and Wednesday, April 19, 2017 by 12:00 Noon EST you will be entered into a drawing. A random winner will be selected via randompicker.com. A winner will be announced by Thursday, April 20, 2017 by 8:00 pm EST. ** For an extra entry share your race day tip(s) below. This entry was posted in health and fitness on April 16, 2017 by healthismygame. 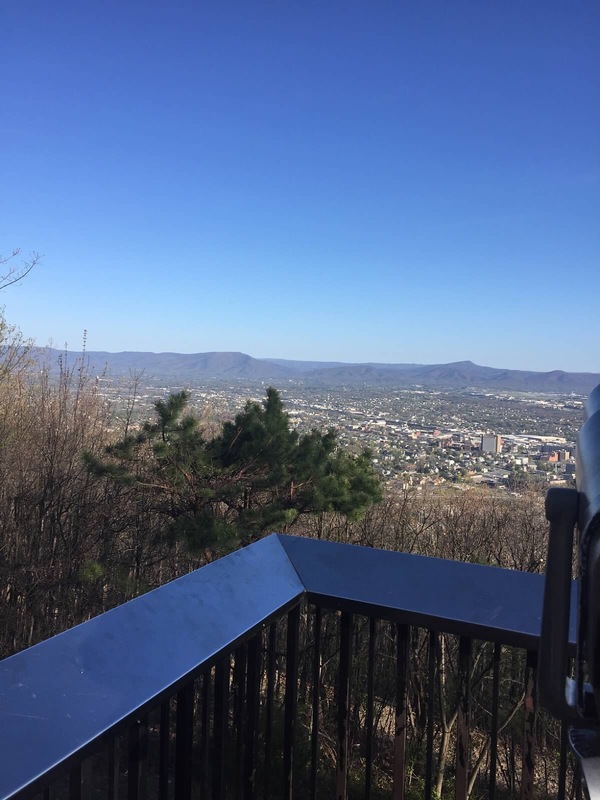 “Want Blue Ridge Marathon bragging rights … without having to run the whole 26.2 miles?Now you can with The Blue Ridge Marathon Four-Person Relay! But there is only enough room for 14 teams, so grab your best running buddies and register right away for the race on April 22nd. 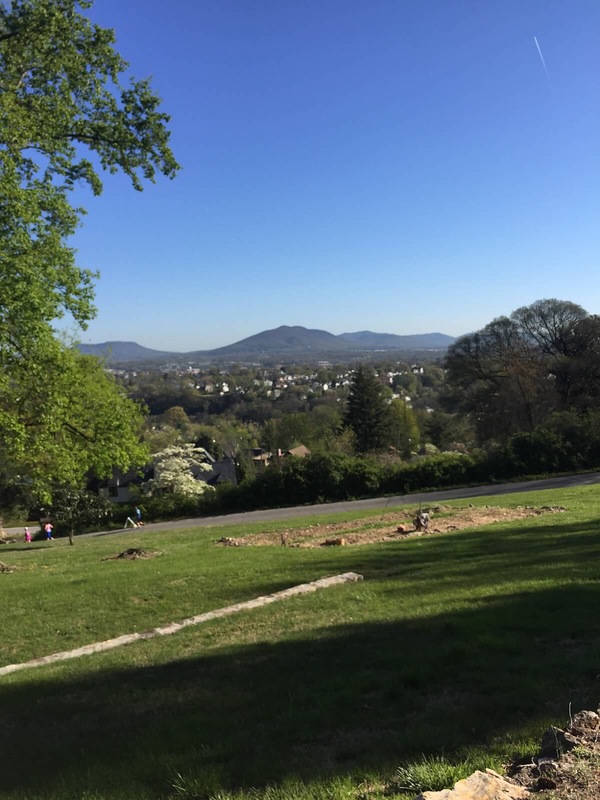 Runner #1: The leadoff runner will tally 6.2 miles, including Mill Mountain. Runner #2: The “beast leg” includes 9.1 miles, including the Roanoke Mountain Loop along the Blue Ridge Parkway. 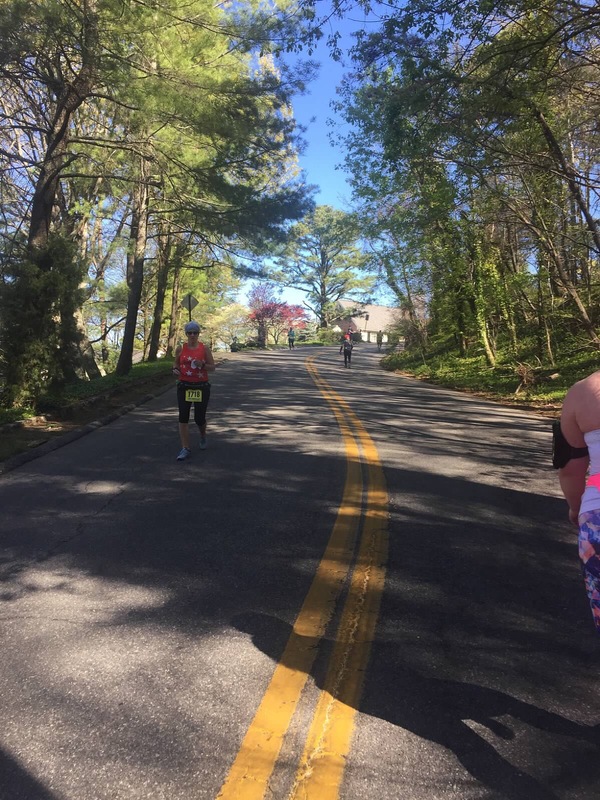 Runner #3: The leg includes the notorious Peakwood Mountain; it’s not the longest leg at 6.1 miles, but is pretty darn tough. Follow me for updates, more chances to win some cool prizes, and some additional information on Facebook, Twitter, Instagram, or at https://healthismygame.com/. This entry was posted in health and fitness on February 9, 2017 by healthismygame. Here we go again with yet another drawing for our FIRST winner because the first 2 winners never reached out to pick and claim his or her prize!! So once again I used randompicker com again to have a winner selected! This first GIVEAWAY ended on 11/4/2016 at 11:59 PM, EST. To see the results click on this link: Congratulations to our “new” first winner (re-drawn since the original winner never claimed her prize), with the screen name: Janet Kemp! Janet Kemp please comment on this post on Instagram, Twitter or Facebook to let me know you are still interested in your **FREE** gift by Tuesday, 2:00 PM, EST or another drawing will be held. Thanks! 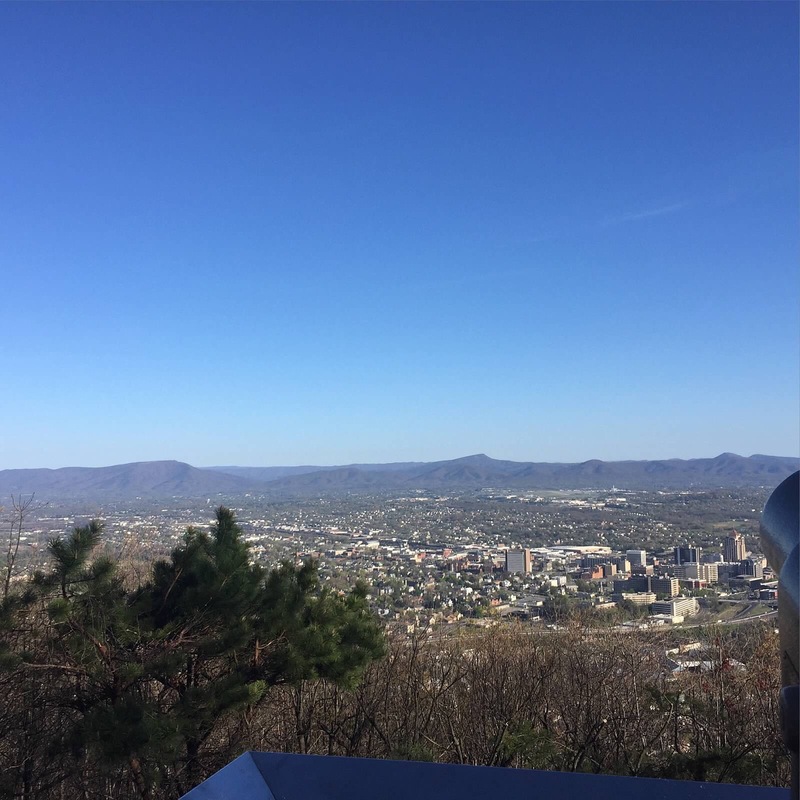 This entry was posted in #brm26pt2, #runblueridge, 10k, because you deserve it, Blue Ridge, Brm26pt2, fitfam, fitness, getting fit, Half marathon, health, health and fitness on November 16, 2016 by healthismygame. Congratulations to our first winner (re-drawn since the original winner never claimed her prize), with the screen name: ruffrtiana! Please get in touch with me within the next 48 hours to claim your prize or we will have to draw again. Thanks so much for your participation. Be sure to follow me on Facebook, Instagram, Twitter, or at www.healthismygame.com for future posts and contests and email me at crystal@healthismygame.com if you have any questions or ideas for future contests. Also, please share this post with all your friends & family so they don’t miss out either on the fun, games, and prizes. This entry was posted in health and fitness on November 13, 2016 by healthismygame.